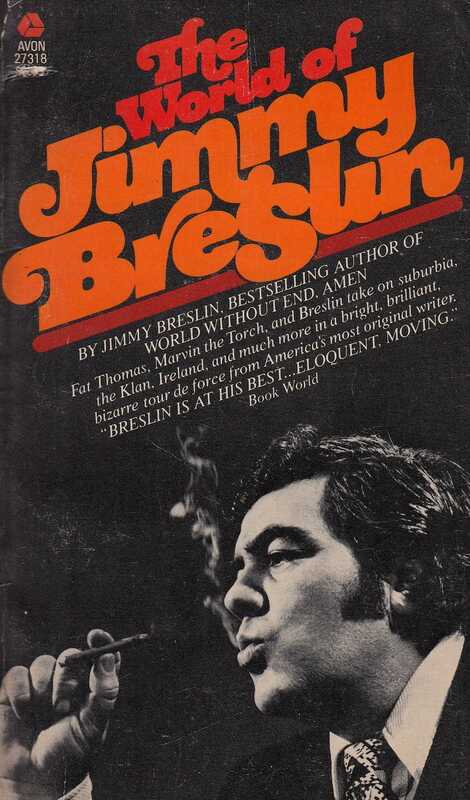 Early on, Mr. Breslin developed the persona of the hard-drinking, dark-humored Everyman from Queens, so consumed by life’s injustices and his six children that he barely had time to comb his wild black mane. While this persona shared a beer with the truth, Mr. Breslin also admired Dostoyevsky; swam every day; hadn’t had a drink in more than 30 years; wrote a shelf-full of books; and adhered to a demanding work ethic that required his presence in the moment, from a civil rights march in Alabama to a “perp walk” in Brooklyn — no matter that he never learned to drive. The real Jimmy Breslin was so elusive that even Mr. Breslin could not find him. “There have been many Jimmy Breslins because of all the people I identified with so much, turning me into them, or them into me, that I can’t explain one Jimmy Breslin,” he once wrote. From the start, he was the biggest of them. He filled the room the way few others did. He saw more than other columnists did. He heard things in a different way. When people talk about “voice” in journalism, they’re talking about more than the way you put sentences together, or a gift for metaphor. They’re talking about all of those, but they’re talking about a unique way of seeing and hearing the world, a close eye for the strange and wonderful on the fringes, a close ear for what is said between the lines. That’s how Breslin got his most famous column, the one about the man who dug John Kennedy’s grave at Arlington, a piece of work so famous that they taught it to us in journalism school, which was not an institution for which, truth be told, Breslin himself had any respect. But there was more to him than the larger than life presence. There even was more to him than the newspaper columns and the magazine pieces. Jimmy Breslin was a genuinely great writer. World Without End, Amen is a terrific novel. I’d Like To Thank My Brain For Remembering Me, his book about his recovery from a brain aneurysm, is closely reported as well as being moving and, in parts, completely hilarious. And his Watergate book, How The Good Guys Finally Won,an account of the downfall of Richard Nixon as seen from the office of then-Speaker Tip O’Neill, is one of the most underrated studies of those events, and certainly the most entertaining, but with gleaming edge to it when it was needed. You will get a kick out of this cool feature put together at Newsday. We’ve got a meaty Breslin profile on deck—stay tuned. In the meantime, head on over to The Daily Beast, where they’ve curated a tasty selection of memorable Breslin columns. There’s a modest sampling of Breslin’s New York Magazine stuff to consider as well. While you’re at the Vulture, check out this appreciation by Christopher Bonanos.